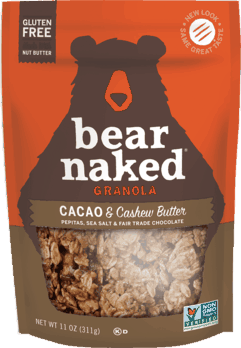 $1.00 for Bear Naked® Granola & Granola Snacks. Offer available at Walmart. $2.00 for Bulldog® Original Face Wash (expiring on Monday, 07/01/2019). Offer available at Target. $1.00 for Birthday Cake Cookie Crisp™ (expiring on Wednesday, 07/17/2019). Offer available at Walmart. $3.00 for Up&Up™ Gentle® Infant Formula (expiring on Wednesday, 10/02/2019). Offer available at Target. $0.50 for Sun-Maid® Raisins (expiring on Tuesday, 07/09/2019). Offer available at multiple stores. $1.00 for Schick® Xtreme3® Sensitive Disposable Razor (expiring on Monday, 09/30/2019). Offer available at multiple stores.